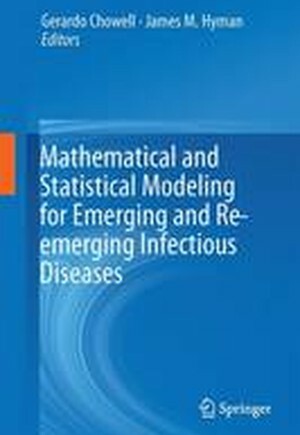 The contributions by epidemic modeling experts describe how mathematical models and statistical forecasting are created to capture the most important aspects of an emerging epidemic.Readers will discover a broad range of approaches to address questions, such asCan we control Ebola via ring vaccination strategies?How quickly should we detect Ebola cases to ensure epidemic control? What is the likelihood that an Ebola epidemic in West Africa leads to secondary outbreaks in other parts of the world? When does it matter to incorporate the role of disease-induced mortality on epidemic models? What is the role of behavior changes on Ebola dynamics? How can we better understand the control of cholera or Ebola using optimal control theory?How should a population be structured in order to mimic the transmission dynamics of diseases such as chlamydia, Ebola, or cholera?How can we objectively determine the end of an epidemic?How can we use metapopulation models to understand the role of movement restrictions and migration patterns on the spread of infectious diseases?How can we capture the impact of household transmission using compartmental epidemic models?How could behavior-dependent vaccination affect the dynamical outcomes of epidemic models? The derivation and analysis of the mathematical models addressing these questions provides a wide-ranging overview of the new approaches being created to better forecast and mitigate emerging epidemics. This book will be of interest to researchers in the field of mathematical epidemiology, as well as public health workers.